It’s been one month since New Year’s day. Plenty of time for the prospect of a fresh start and all of the associated enthusiasm to depart. And plenty of time for statistics to overtake that holiday season enthusiasm. Statistics which state that by February 1st, 36% of New Year’s resolution-makers have already abandoned their pledges. The problem with resolutions is understanding what it really means to be resolute. Changing your life means changing your habits. And this is harder than most people expect. Our habits come from habituated thoughts that habitually inhabit our minds. See what I mean? These are thoughts that have been around a long time and they won’t go away easily. The trouble for most people can be found in how they process the inevitable bumps in the road that accompany any meaningful attempt to change your life. Bumps are coming. It doesn’t matter how well you have planned or how “motivated” you are, there are bumps coming. Some bumps you can overcome, but some bumps can knock you down. And it’s those second kind of bumps that cause the most trouble. Because when we get knocked back into the old habit, most of us stay right there. We become that 36% that gives up at the first sign of a struggle. It’s because the idea of a struggle is scary. Most of us never even expected a struggle. After all, if you’ve planned well and you’re “motivated”, it shouldn’t have to be a struggle, right? More people would be able to do the things they aspire to do if they could get comfortable with the idea of struggling. Struggling means effort. Effort expended towards a result that is never guaranteed. To do things of value, to make changes that matter, there necessarily will be a struggle. Don’t avoid the struggle, instead, seek out the bumps in your road. And if they knock you back, keep going. If they knock you down, get back up. Struggle. Then struggle some more. You’re stronger than you think. 334 more days to go. 1. 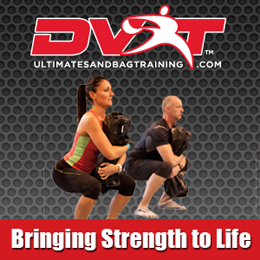 Test Drive High Definition Training for 1 month and see why we have voted the best fitness training program in The Bronx! Give us 4 weeks to win your heart and your business for only $199. Just reply to this message and put “Test Drive” in the subject line. Join our 28-Day Jump Start Program and enjoy the success that 100’s of others just like you have! We’re adding a few new clients to our program for 28 days and documenting their success. If you’d like to work with us for the next month and be a case study for fat loss… you can reserve a spot by replying: I’m READY. Come try a fun-filled workout session with the most positive fitness family around! Or. If you’d like to come in and just try a workout or two… a Free Week on us, just reply and put “ME” in the subject line, and I’ll get you all the details!